In a time when a lot of games are stretching themselves to incorporate co-op as a selling point, some game developers have slapped the feature onto their games in a way that feels forced, gimmicky and even annoying. Other games integrate co-op perfectly, yet they sometimes make players feel as though they’re playing simultaneously but not necessarily playing together. 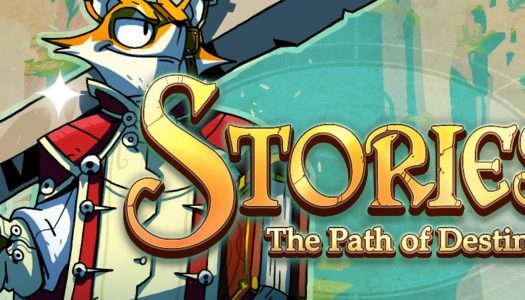 Former Ubisoft developers Simon Darveau, Malik Boukhira and Atul Mehra set out to crack the co-op code and deliver something that is cohesive, exciting and truly cooperative. 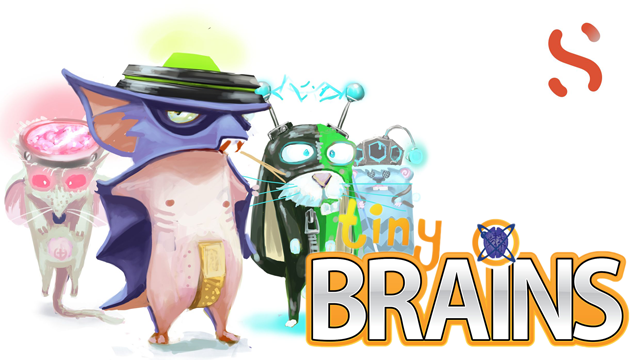 Their creation is Tiny Brains, the first title from their startup independent studio Spearhead Games. A mad scientist has imbued four lab rodents (that’s you) with superpowers and placed them into test tank puzzles. The catch: each rodent has a different power, and you will need every one to solve your way to freedom. 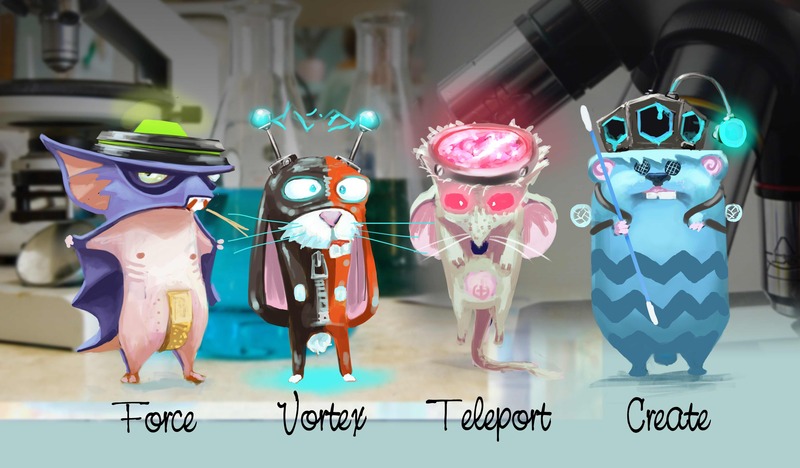 The four rodents are named after the powers they wield: Force, Vortex, Teleport and Create. This forces you to communicate, brainstorm, experiment, coach and encourage each other. Every player is needed for success to be possible, so every player contributes. When you succeed, you succeed together.